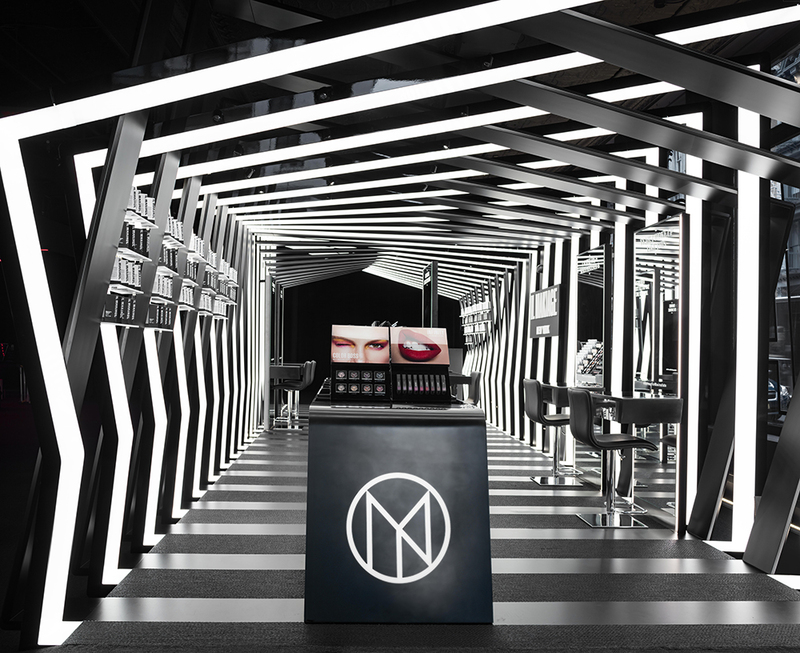 Makeup brand Il Makiage has opened up a new Soho pavilion designed by Zaha Hadid Architects to coincide with the launch of their new 800-product collection. The pavilion’s angular tunnel of ribbons with alternating gloss and matte finishes mimics the makeup’s packaging in exploded form. Each of the ribbons is slightly different and lighting is installed in them and around the mirrors, helping shoppers accurately choose the right color and tone. The mobile pavilion will be open in Soho for six months and a second New York City pavilion will be opening in Flatiron this summer. Zaha Hadid Architects is also developing the permanent Il Makiage New York boutique, as well as locations in D.C. and Miami.